"Az ajtóra vagy az ablakra szállnak a színes pillangók?" Translation:Are the colorful butterflies flying onto the door or the window? what is the difference between száll and repül? Száll has some other meanings that repül doesn't have. And for me, like Tarnai, száll meaning "fly" is a bit quieter or gentler than repül. landing should be accepted for szallnak. Can someone with good imagination explain how butterflies fly ONTO the door - from the point of view of plain English? 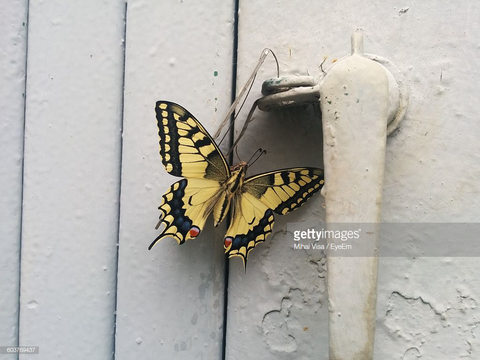 Here is a butterfly on a door. How did it get onto the door? It flew onto the door. how come "do...fly.." is not accepted?